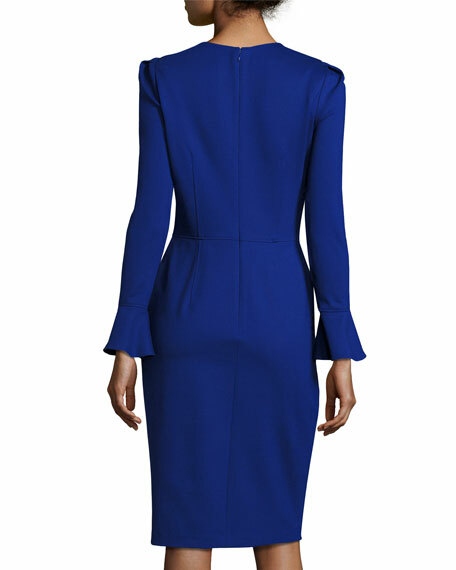 David Meister stretch crepe dress. David Meister learned the art of designing with stretch fabrics while working for Danskin. That knowledgecombined with his vision of elegant dressesput the American designer on the map when he launched his eponymous collection. His line of beautiful, well-constructed cocktail dresses, day dresses, and evening gowns are favored by celebrities and socialites across the country. For in-store inquiries, use sku #1937920.